Ascending Butterfly: Wordless Wednesday - Something Special is Blooming! Wordless Wednesday - Something Special is Blooming! Hope all my butterflies are having a wonderful Wordless Wednesday! Those are my favorite flowers. @New York Chica - Mine too! 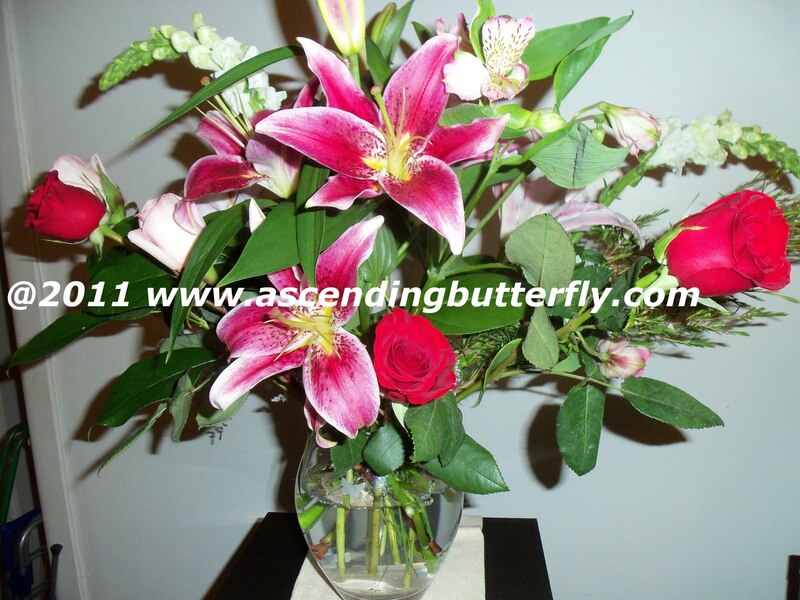 I have always loved StarGazer Lilies and Roses, they sent two HUGE bouquets so I put the first one in the Vase pictured above (special reason) and then put the other bouquet in another vase. One is in the living room, the other in my bedroom, the house smells like heaven! @aquariann - Thank you! What are your favorite Flowers? @Good Girl Gone Green - Thanks what are your favorite flowers?